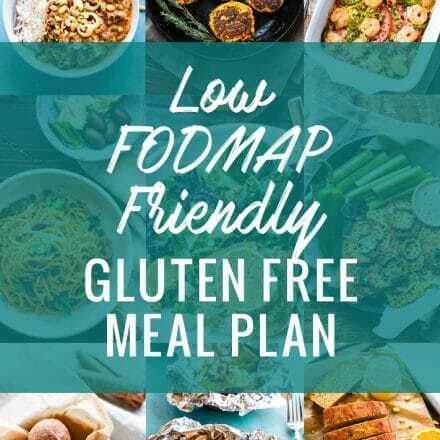 Healthy Lower Sugar Gluten Free Meal Plan Recipes and Ideas! 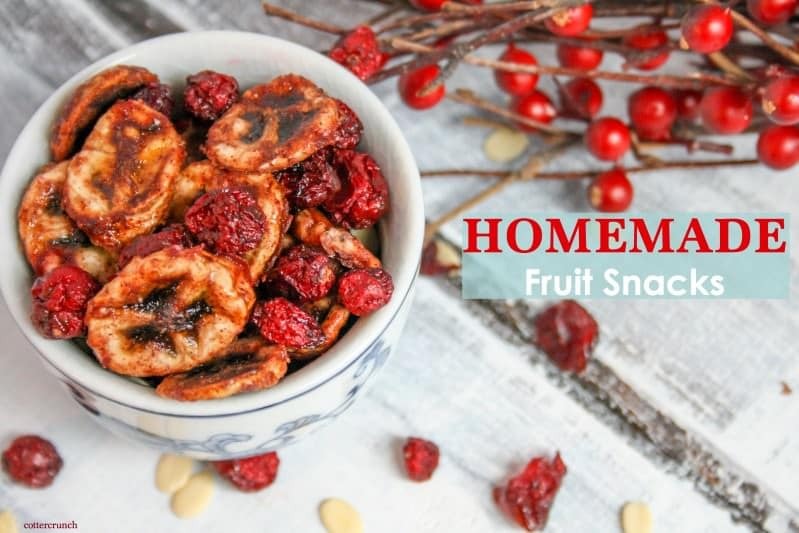 Snacks and Meals with less than 10 grams of sugar per serving. 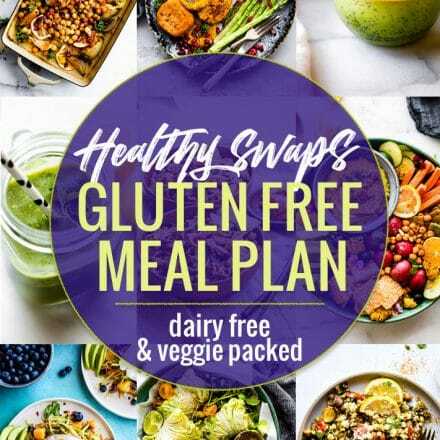 Easy gluten free meal plan ideas to boost your health without added sugar or preservatives. Happy 15th of of month friends! That means it’s Gluten Free Meal Plan time! 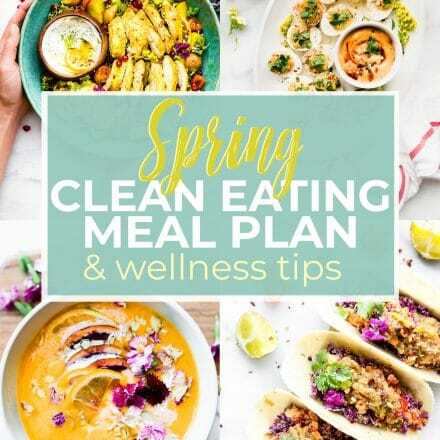 If you missed last month, so check this post with Iron Rich Gluten Free Meal Plan ideas. This Month we are rounding up recipes that are lower sugar and gluten free. Why? Well, let me explain. For one, when I started a gluten free diet (8 years ago), I kinda flipped out. I got so nervous of what I could or could not eat and ended up buying everything packaged that said certified gluten free. You know what happened? It was FULL of additional sugars and even processed ingredients. SO yes, it was gluten free, but it was not that healthy. Secondly, when you are starting a gluten free diet, due to inflammation in the body/gut, it sometimes can be best to cut back on sugar. And by sugar, I mean excess sugar. This is just temporarily so the body can heal. That being said, if you are still training and working out a ton, you will need glycogen for the muscles. A —> are new to gluten free and want to focus on real food gluten free choices that are naturally lower in sugar. So maybe gluten free cookies can be a treat here or there, right? haha. B —> Want to reduce inflammation in the body so are cutting back on sugar and gluten in order to maximize nutrients. Did you know that one can of soda has 50 grams of sugar? Yes, even the “gluten free natural soda” kind. That just shows how much EXTRA sugar can sneak into our diet. 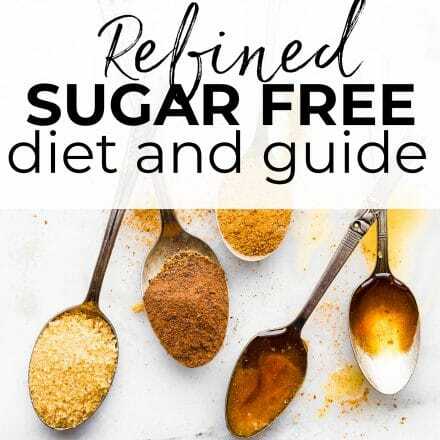 All these meal ideas and recipes have around 5- 10 grams of unprocessed sugar (natural) per serving or less. Which makes up to be around 25 -40 grams total of NATURAL sugar intake for the day. No (or very minimal) additives. I’m thinking that’s a WIN WIN, right? Let’s get started. I’ll give a list of groceries you might need at the end of this post. Mmm k? 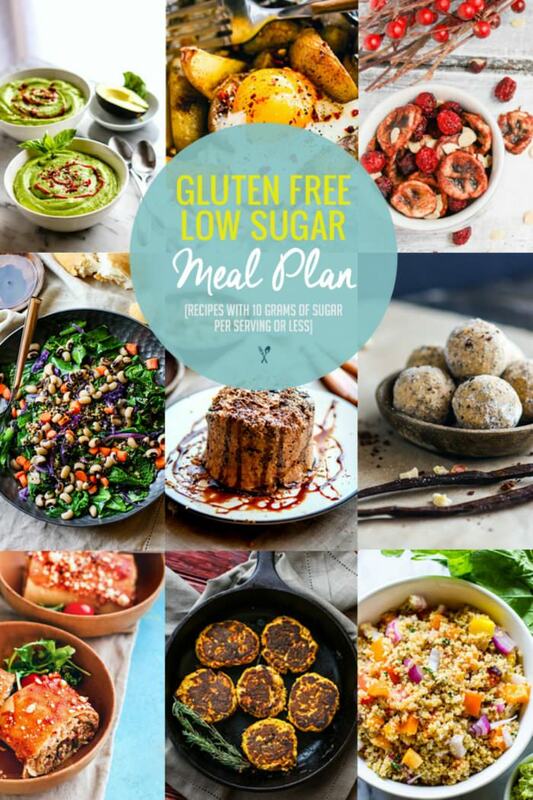 If would like a printable version of all the recipes, just click here for Lower Sugar Meal Plan PDF. 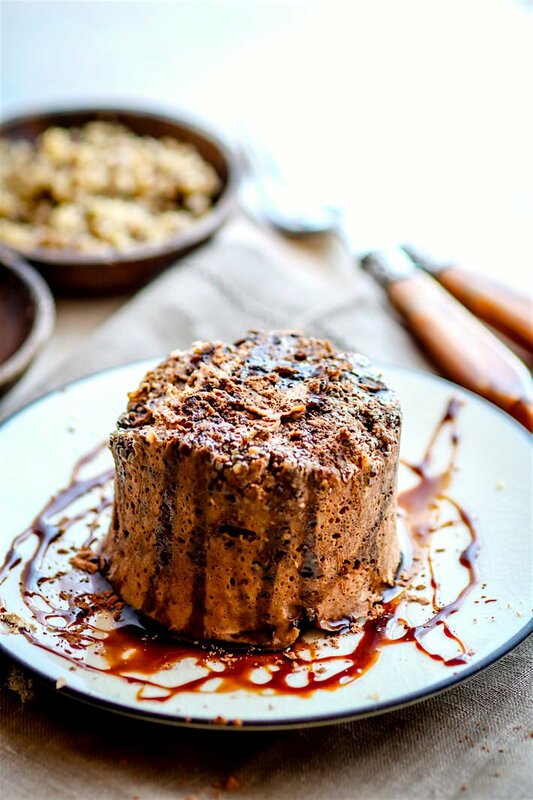 Use dark chocolate sauce to keep sugar low or none at all. 100% cocoa powder as well. These spices are rich in antioxidants as well! 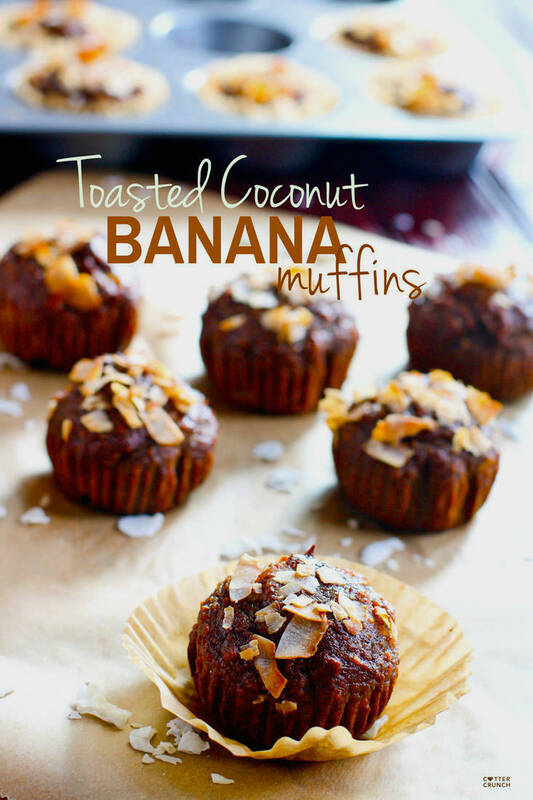 Uses Banana as a natural sweetener! Exclude honey if you want even lower sugar. You can use any berry here. Great for kids! 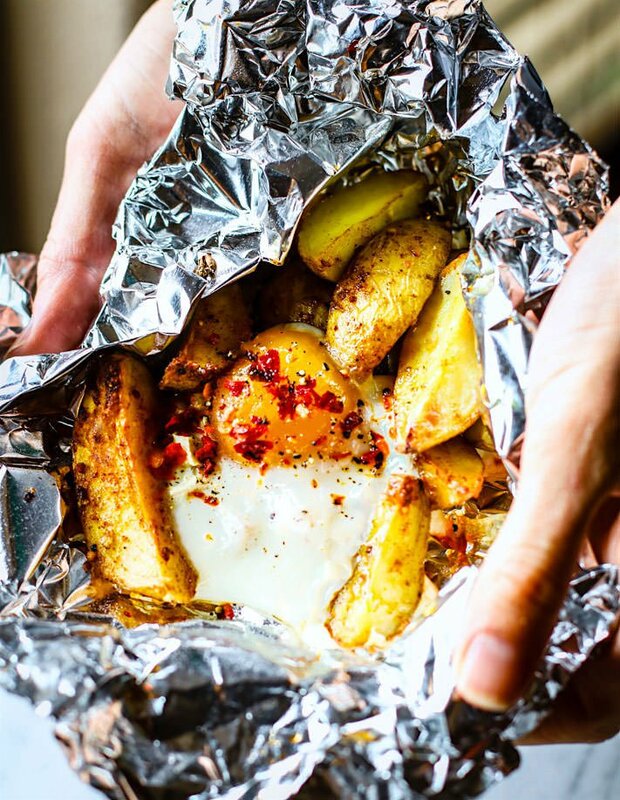 Save money and all the extra ingredient that goes into store bought chips. 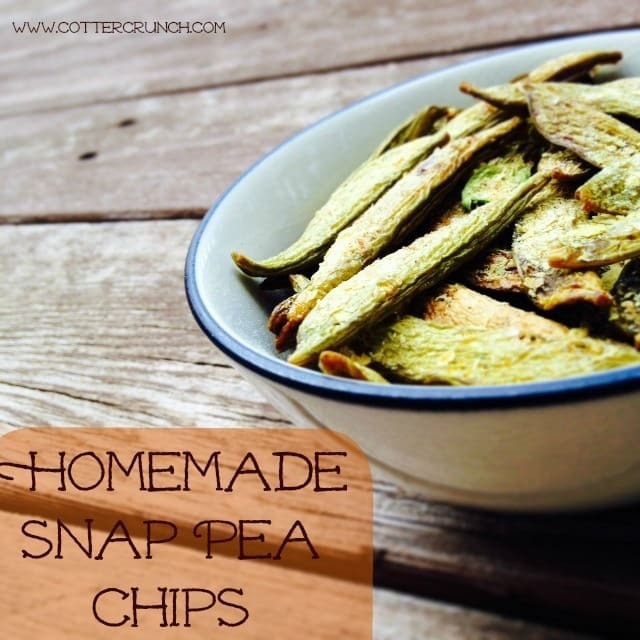 These are great oven baked or dehydrated! 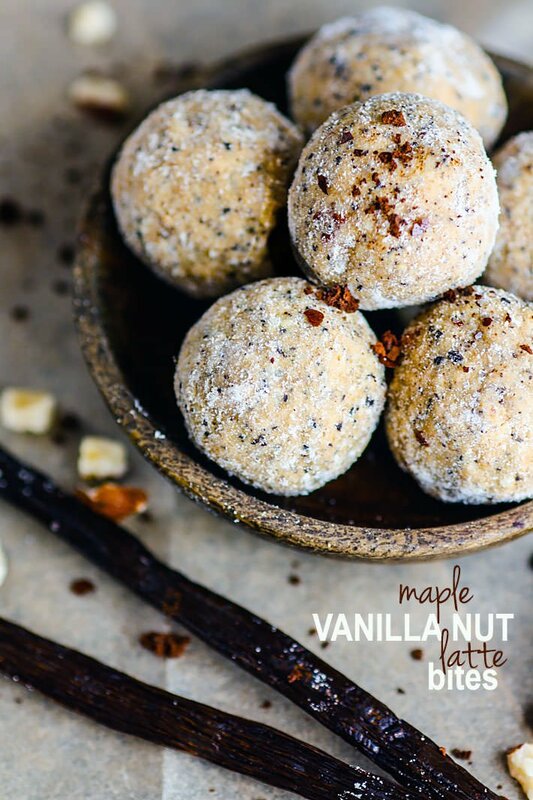 These are packed with protein and can be made with even lower sugar if you use Xylitol syrup or sugar free maple syrup. Pack in the veggies and then just use a little olive oil/vinegar to dress it! 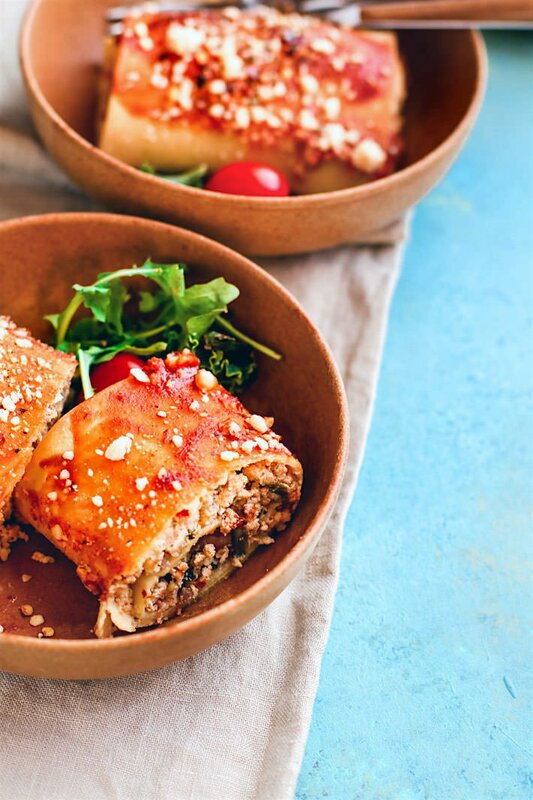 Packed with veggies that are loaded with prebiotics. This means the natural fibers and sugars in this veggie soup will actually FEED the good gut bacteria. 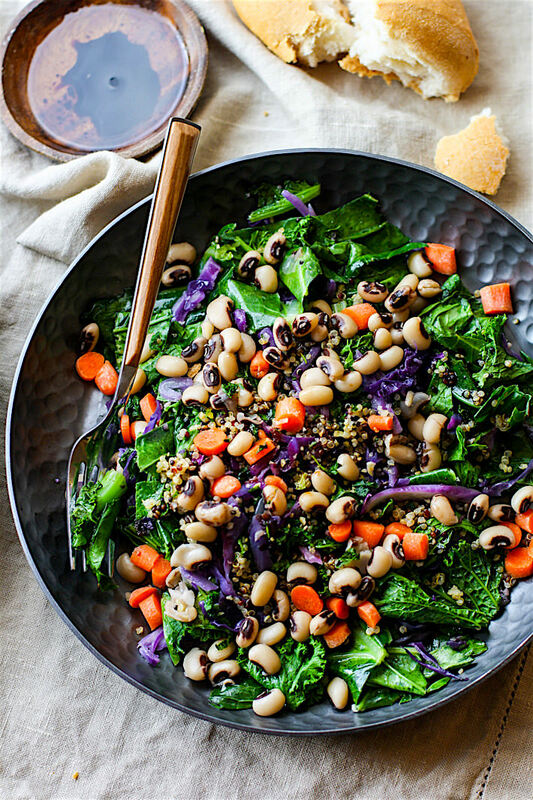 A vegan friendly meal packed with veggies and natural fruits. Protein packed pesto as well! Swap out the mango for another veggies to make this meal even lower in sugar (if need be). 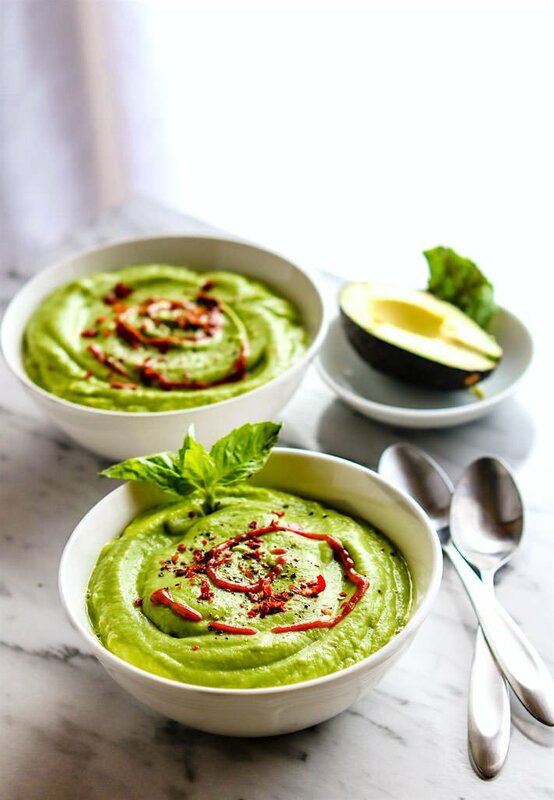 Quick, healthy, simple! Use fresh ginger and lime to season. Great anti-inflammatory meal. To make this meal even lower sugar and carbs, try using paleo lasagna or zucchini as the lasagna roll. Then pack it full fresh diced tomatoes/veggies and eggs. 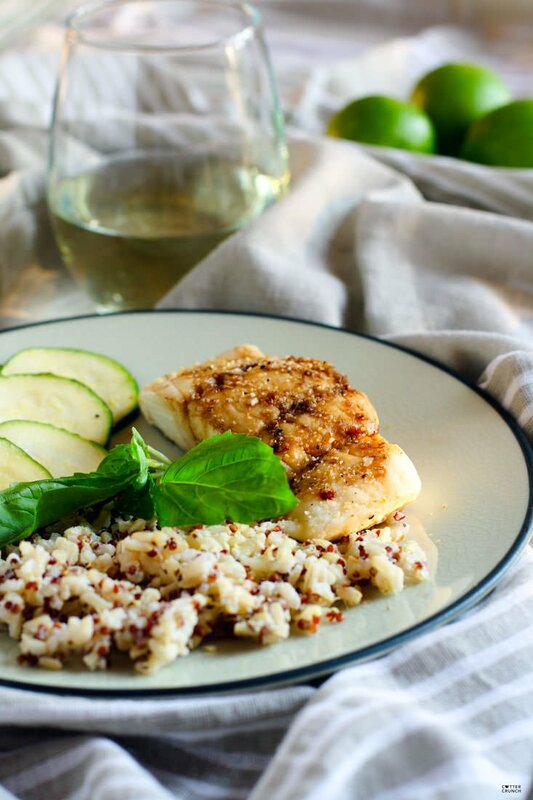 This meal is super easy to make and quick. Made from leftovers. 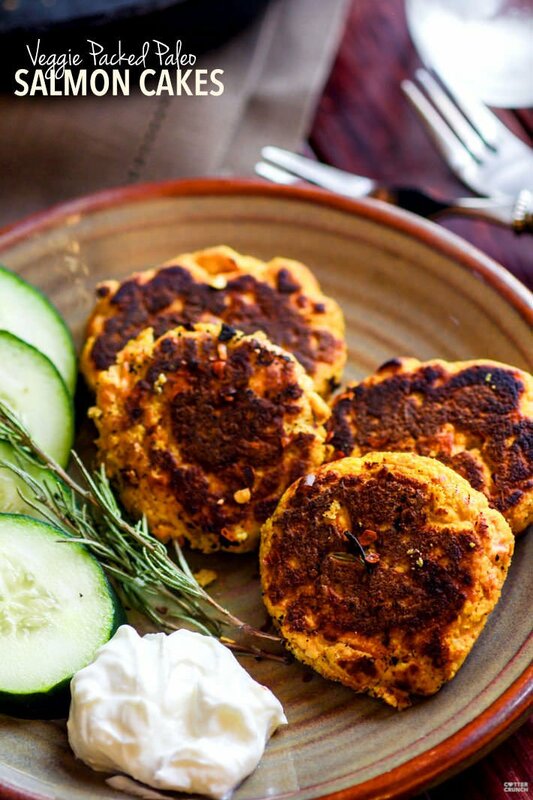 all you need is veggies, canned salmon or tuna, a touch of coconut flour or GF flour, and eggs! STAPLES PANTRY ITEMS WILL NEED for this Meal plan and More! Please see my SHOP page for MANY of my favorite pantry staples and other kitchen tools to use. If you have any questions, feel free to comment or email me. Would love feed back or more ideas for future meal plans. ← What Are You Missing (out on) Because of Fear? do you want their info? I am sure they would love to send you samples. YOu’ll be hooked!! Ooh I’d love it 🙂 it’s about time I try! Thanks friend. Loved your recent sugar post as well. So many delicious recipes! After making 10 dozen + cookies recipe testing yesterday lower sugar would probably be good for me. haha i can relate. EAT ALL THE VEGGIES! Looks like a week of amazing eats. Those salmon cakes are calling my name!! Gahhhhhh someone PUH-LEASE make me these recipes! 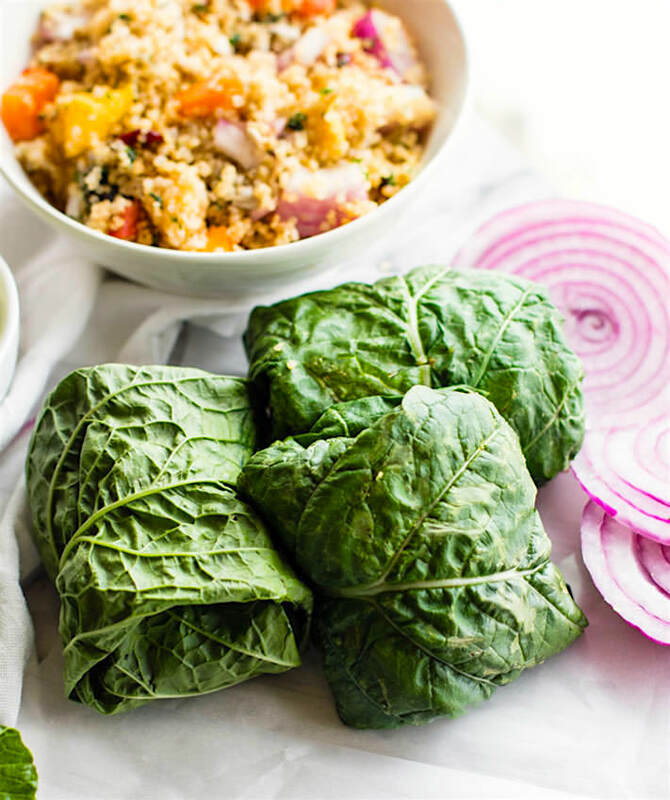 I’ll start with the quinoa collard wraps, baked cod and a Paleo breakfast lasagna please! wow, the cake looks delicious and very attractive, thank you for sharing the recipe.